Doral City, Florida, is renowned for its world-class golf courses and resorts, but there is even more to see in Tree City, USA. Whether you are an avid golfer seeking new venues or an investor in search of prime Doral real estate, there are many pleasant diversions in this fashionable, burgeoning metropolis situated in Miami-Dade County. Sales in Doral real estate soared in 2008 after both Fortune Small Business and CNN Money ranked Doral as #51 on a list of 100 cities with the best blend of business advantages and lifestyle appeal. 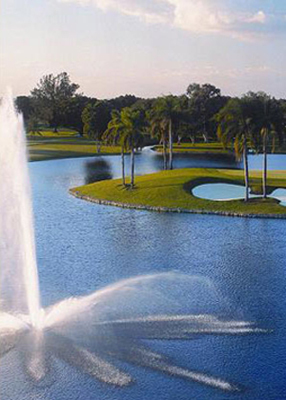 Part of the latter entails the many pleasurable amenities available in the city of Doral. Ranked first out of four tourist attractions is not some lush and glorious acre of premium Doral real estate wherein lies the gilded mansion of some long dead financier, but rather the Doral Resort Blue Monster Golf Course. Although there are four other championship golf courses in Doral, the Tournament Players Club (TPC) Blue Monster at Doral Golf Resort & Spa boasts of being home to the World Golf Championships-Cadillac Championship and has been the sole host of the prestigious PGA TOUR events for the past 45 years. The Blue Monster Golf Course is known for its long fairways and unique array of water hazards. GOLF Magazine ranked its signature 18th hole, as one of the Top 100 Holes in the World. Virtually every great name in golf has experienced a moment of glory on this world-class track. The Museum of The Americas, which is located in the heart of Doral City, promotes the works of contemporary artists of all origins that are both established and emerging. The perfect respite from a morning of shopping or viewing premium Doral real estate, the museum receives funding from both public and private sources in the United States, Latin America, Europe and Asia. The Museum of The Americas provides comprehensive exhibitions of group and solo shows in local, national, and international venues. For those seeking residence in Doral City who may have children, when considering Doral real estate and its inclusive amenities don’t forget to pay a visit to the city’s lush parks, which are open to both tourists and residents alike. 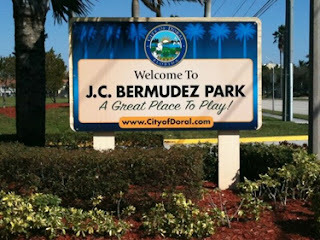 These include: gated Veterans’ Park; Morgan Levy Park, a 14-acre state-of-the art neighborhood enclave featuring spectacular sports fields and a recreational center; Doral Meadow Park, which caters to youth sports and adult leagues; and Doral’s largest recreational area, JC Bermudez Park, which covers 81 acres and features a 21-acre lake and a 9 mile jogging/ walking trail. Indulge yourself with a day of shopping, dining and fun in between viewing prime Doral real estate and other tourist attractions at Miami International Mall. This incredible shopping experience features four major department stores (Macy’s, Sears, JC Penny and Kohl’s as well as more than 140 specialty shops. Come and enjoy Doral City, Florida and all it has to offer. Nice sharing friend! Your blog is very informative for me and al travelers. Doral is a city located in north-central Miami-Dade County, Florida, United States. It has a lot of attraction for visiting. After reading your blog I must go in this city after complete my phoenix helicopter tours and see these attractions that you mention in this blog. Thanks for this nice and informative sharing.